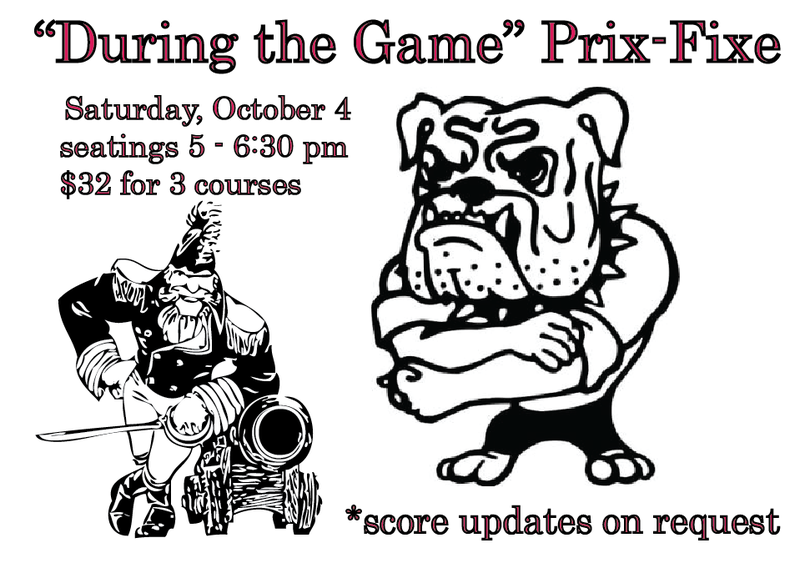 On Saturday, September 19, join us during the game for a special prix-fixe dinner menu that is only available from kick-off until the Dawgs win. Plus, if you need fuel before the game, The National will be open for lunch from 11:30am - 3pm with an early start for dinner at 4pm. This year, we’re located just off the track, at the corner of Hull Street and Hancock Avenue. You can beat the heat at The National without missing the action. We’re serving up food in the dining room, bar & on the patio all day long, with a full bar and, of course, air conditioning! Join us from 11:30 am - 11 pm on Saturday, April 25 at this year’s hot corner! The road to the 87th Academy Awards ceremony is paved by our own arthouse cinema and neighbor, Cine. In the 2014 race to the Oscars, the major contenders are the films that dramatize a moment or even a lifetime of human strength and audacity—those with the power to really hit home. Make sure not to miss Wild—screening at Cine through Thursday night. Cheryl Strayed’s extraordinary adventure hiking over one thousand milks on the Pacific Crest trail is both moving and uplifting. The power of human determination is staggering. The Imitation Game, a late arrival to the race, looks at the mathematician, cryptanalyst and war hero Alan Turing whose greatest secret obscured his greatest success. In Foxcatcher, arriving this weekend to Cine, wrestler Mark Schultz sees a way out from the shadow of his more celebrated wrestling brother Dave and a life of poverty when he is summoned by eccentric multi-millionaire John du Pont to train for the 1988 Seoul Olympics. This psychological drama shows the underbelly of the quest for Olympic Gold and the motivations that drive us to greatness. Through February 22, The National is your hub for post-film discussions and Oscar predictions. We’ve got the good food to calm a heated a debate and the cocktails to loosen lips and inspire emotion. Make your reservation with us for dinner seven nights a week, before or after your movie next door. The 4th Annual Autumn Harvest Feast is just around the corner! And this year’s feast will blow past years out of the water with more chefs, more local food purveyors, and one incredible special guest speaker - Michel Nischan, the founder of Wholesome Wave! Share a family style Sunday dinner on Sunday, October 5 with music and a silent auction alongside your favorite local farmers, artisans, chefs, and friends. Over 20 of Athens’ finest local chefs plus food & drink purveyors will prepare for you a truly amazing meal featuring locally produced ingredients sourced from the Athens Farmers Market. The evening directly benefits Wholesome Wave Georgia, the program started by Michel Nischan that sponsors the Athens Farmers Market’s Double SNAP Incentive Program. In operation since 2010, this program has made immediate increases in the access to local, sustainable, and wholesome food for nutrition assistance recipients by doubling the value of SNAP dollars at the Athens Farmers Market. 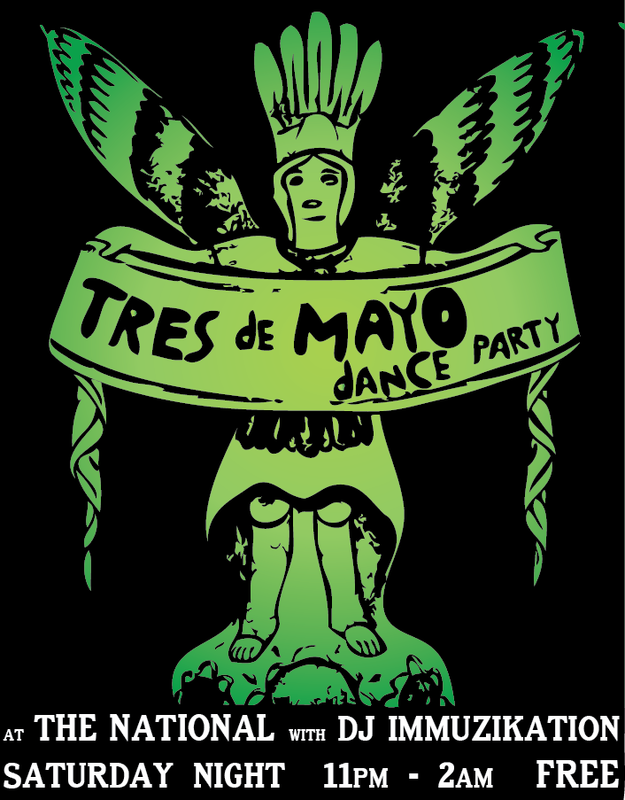 Buy a ticket and help ensure the sustainability of this important community building program! 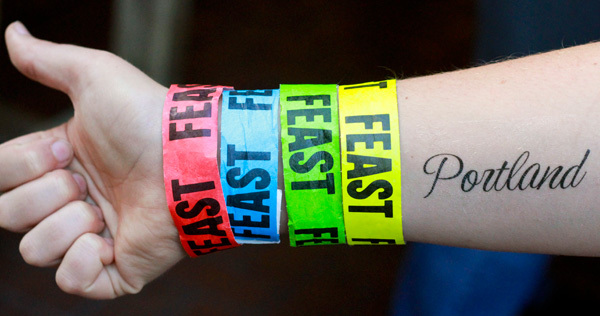 FEAST PORTLAND is just around the corner! The third year of Feast Portland takes place September 18 - 21, 2014, right in the heart of Oregon’s food-loving city, of course. We are so excited to participate again this year. Feast Portland is all about celebrating the bounty of the home state, a mission we strive to support day in and day out at The National and across the board at all of Hugh Acheson’s restaurants. Peter Dale and Hugh Acheson will be posted up at the Sandwich Invitational on Thursday night, making a classic Southern-style pimento cheese. Plus, stop by on Saturday for the Oregon Bounty Grand Tasting. Presented by Alaska Airlines, this event is all about the artisan offerings that have cemented Oregon’s place in the foodie world…we get to play with those products and you get to eat them! Athens Technical College kicks off their Lifestyle Learning Series next week with Cooking out of the Box with Chef Peter Dale. In this class, Peter will showcase how to use the fresh produce you have to create a creative and delicious meal. Wine pairings will also be offered, and each participant will leave with a CSA box and recipes! Pre-registration is required for this class. Visit the website at www.AthensTech.edu/lifestyle or call at 706-369-5763. An Athens staple, the Summer Classics Series is here at Cine. Beat the heat and checkout these cool comedy classics on the big screen! With films screening Thursday - Sunday, this week don’t miss the brilliant satirical comedy DUCK SOUP (1933), considered by many to be the Marx Brothers’ funniest and greatest achievement in film. Introduction by UGA Film Studies Professor CHRIS SIEVING on Thursday July 17 at 8:00p, and weekend matinees at 5:30p Friday thru Sunday, July 18-20.
to see Bugs, Daffy, Porky and the gang on the big screen! Matinees at 1:30p Saturday & Sunday July 19-20! Late Shows at 10:00p on Fri & Sat and Matinees at 3:15p on Sat & Sun! World Cup Soccer at Ciné continues with a big bash for the USA v. Germany game on Thursday, June 26. The National will be offering our full lunch menu in Ciné this Thursday with beverages served from their bar. The game is on at noon on the big screen. It’s a great way to spend your lunch break without missing the action! Go USA! This year, treat mom to lunch with a lovely family-style meal at The National, she deserves it! Only the prix fixe menu will be available. The food community in Athens grows stronger everyday. And it’s not just that great restaurants are always opening. An exceptional community of chefs are supporting local growers and important causes that have increased the fresh and delicious food available to us. On April 21, Athens’ most notable chefs are coming together to showcase their cooking chops alongside local beer pairings. Each chef will prepare one course for a seven-course, one-night-only dinner you don’t want to miss. We welcome you to the Grand Budapest Hotel this week, with a special Dinner & a Movie offering with The National and Cine. Inspired by the elaborate and always pleasing Wes Anderson’s new film, we bring you a menu designed with the trimmings of Bavaria. *Please note the change in our Dinner & a Movie Pricing. Each ticket will now include gratuity and tax in addition to the cost of a movie screening and dinner. The slight increase in cost reflects increases in food costs and film pricing at both The National and Cine. Thank you for understanding.